Located minutes from downtown Pittsburgh, Hundred Acres Manor brings a new level of fear every fall season. New for the 2016 Hundred Acres Manor introduces two mind-bending attractions. Hundred Acres Manor has been featured on The Travel Channel, LA Times, Forbes.com, USA Today, Good Morning America and dozens of other national and local news stations as one of America's best haunted houses. But Hundred Acres Manor hides a deep and dark secret. Over it's 13th year history Hundred Acres Manor has donated over $1.5 million to two Pittsburgh charities, The Homeless Children's Education Fund and Animal Friends. Hundred Acres Manor is not only one of America's scariest haunted houses, but also a 501c3 non-profit doing it all for a good cause. 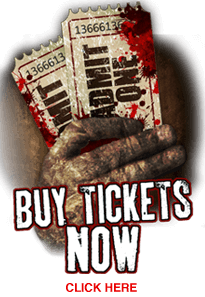 \Voted one of Americas Best haunted houses by HauntWorld Magazine and TopHaunts.com – Hundred Acres Manor is the most intense, in your face, run for your life, scream bloody murder haunted attraction featuring the most brutal displays of absolute carnage and chaos. Prepare yourself for a full sensory inhuman assault on your psyche leaving you in a state of panic and dismay. A sadistic world of unimaginable and inconceivable horrors awaits that will leave you paralyzed with shear dread and terror. Hundred Acres Manor is a true shock show that delivers an extreme overdose of terror that will leaving you crying in a corner with your insides bleeding and your underwear soiled. Hundred Acres Manor is named one of the best haunted houses in the world. Boy oh boy where do I even start? This place use to be absolutely amazing but the past 2/3 years the attention to detail, actors, and originality went down the drain. Not sure what happened but I'd say the peak time for Hundred Acres Manor was from 2011-2014. That's when the sets, theaming, and detail were brought to life. Did they go under new management or get new set designers, because whatever happened hurt the over all experience. Don't spend your time and money on this haunt, go somewhere else. I don't scare at all, but my wife is terrified of everything (and loves these places), which makes them so much fun. I really enjoy Hundred Acres Manor, and their animatronics were top notch this year! There was a little too much smoke in one area, and the alien stuff is kinda...well...lame, but the rest of it is great. I really recommend it! I love Hundred acre manor! It's gory, has so many jumpscares and it donates to charity! Every year this gets bigger but every year it produces. A long haunt so you get your money's worth. As mentioned sometimes you are herded in like cattle but nothing as bad as The Scarehouse. Effects aren't as good as The Scarehouse but they are better than average. Overall it's one of the best options in the Pittsburgh area. I would love to give this a 10, however it was lights out and we couldn't see everything working. As haunters, we see that the work is there. It was very fun and creative. We will be back when it's not lights out to give it a 10. Rushed through like a herd of cattle! This haunt would be great if they didn't rush you through like a herd of cattle! We went in with a group of 4 and came out as a group of 30. They need to give each group more time to start. I understand they have a lot of people waiting in line but being rushed through ruined the whole experience for me!